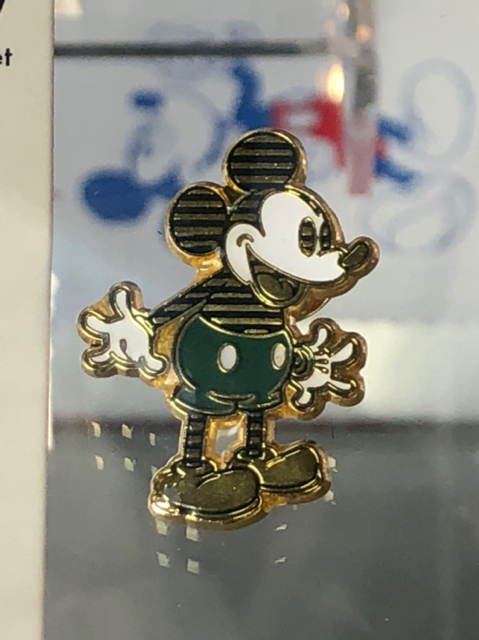 Discussion in 'Completed Pin Sales' started by Ajk, Nov 11, 2018. 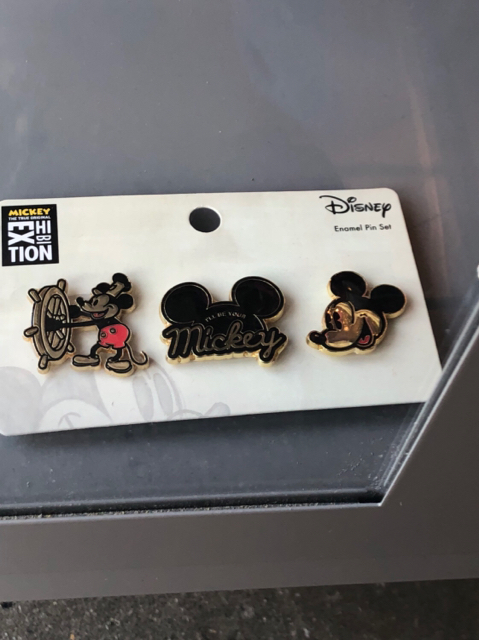 As I understand it, the Mickey Exhibition in NYC has the below pins available (Initial release photo credits to @CMOR). I would be glad to pick them up for anyone interested. 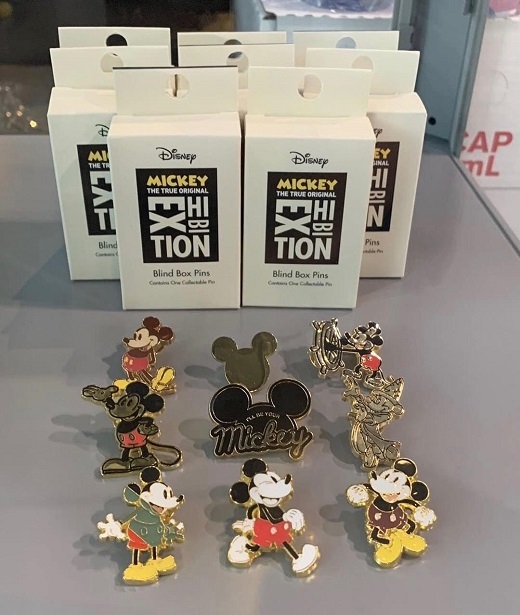 The retail price for the pin sets is $17 and the mystery boxes are $10. 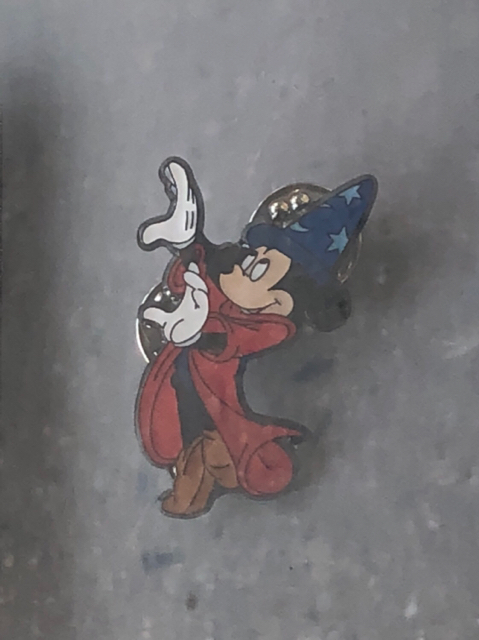 Cost would be actual price (retail pins, tax (9%), and paypal) plus shipping ($4, unless you buy a bunch and the weight goes up, in which case it will be whatever it costs) and $3 per mystery box or pin set to help defray travel costs. If interested, please just reply below and I'll plan to pick things up based on interest next time I am in that neighborhood. 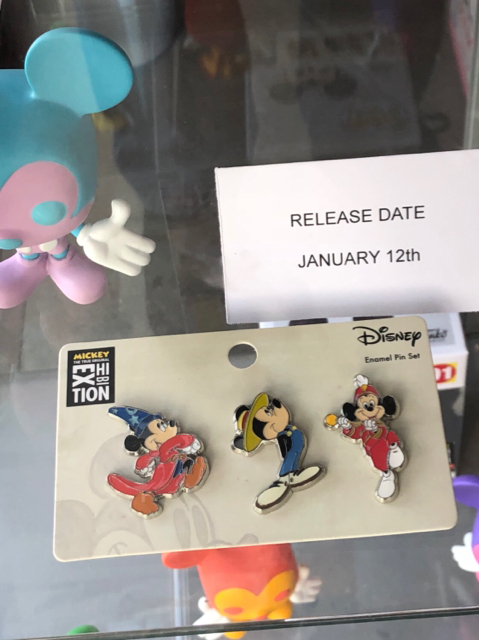 Update - there is a different pin set being released every couple of weeks and also a different mystery chaser. I’ve added future releases and pictures to the tracking list below. 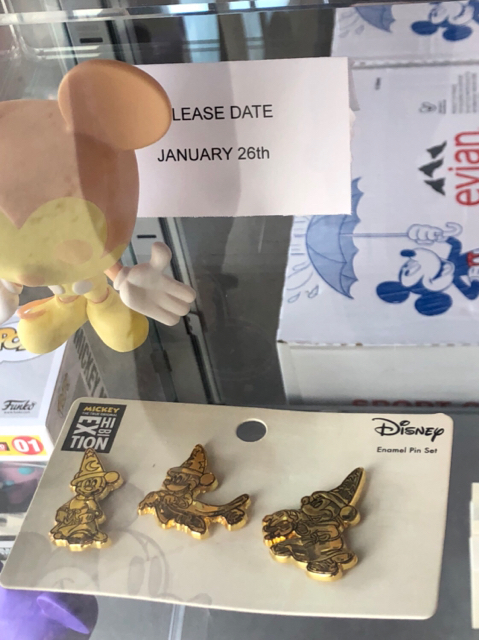 I can plan on swinging by for each release depending on interest. 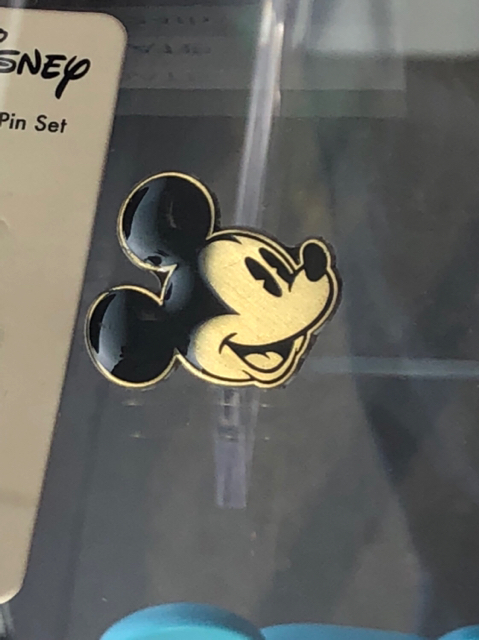 If you go, may i please have one set of the pins and two mystery boxes? They’ll make awesome stocking stuffers for my mom for Christmas. Probably should have started this sooner, but here's a list of requests for tracking purposes. What about this set? I am interested in this one. I believe it is part of this NYC exhibition. Have fun, @Ajk, I'm going in a few weeks and am super excited! Sure, would be glad to. 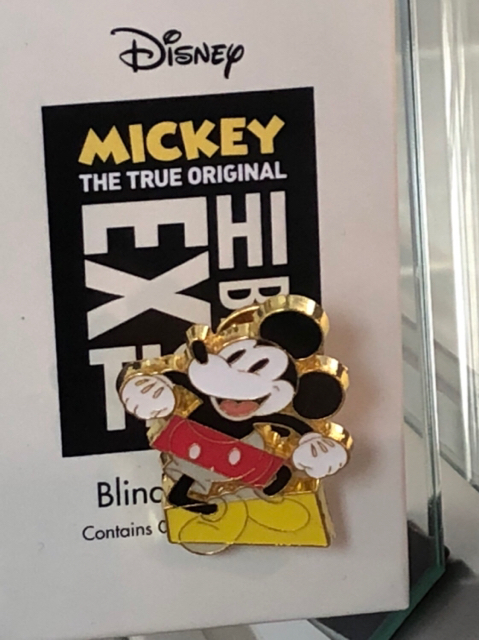 I’ve added it to the list of available pins. Ok, here’s the deal. 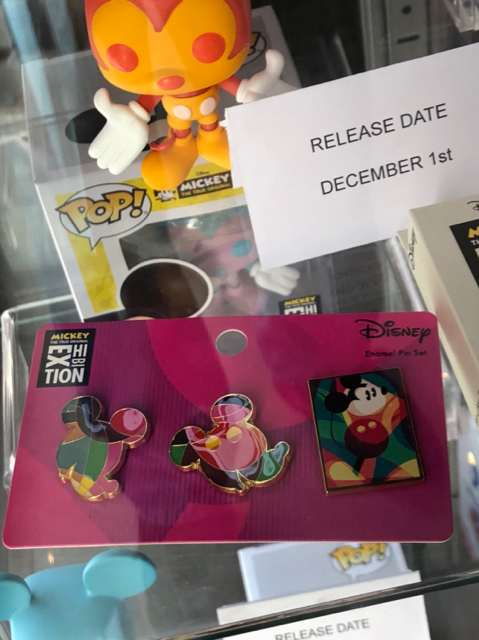 The pin sets are going to be released over time - one every two weeks or so. So the black and white one is the only one available right now. The colored one is for December. I’ll post photos and dates of all of them later. For now I picked up the black and white sets and mystery boxes that have been requested so far. I’ll be in the area for most of the day so if others want them, just let me know. 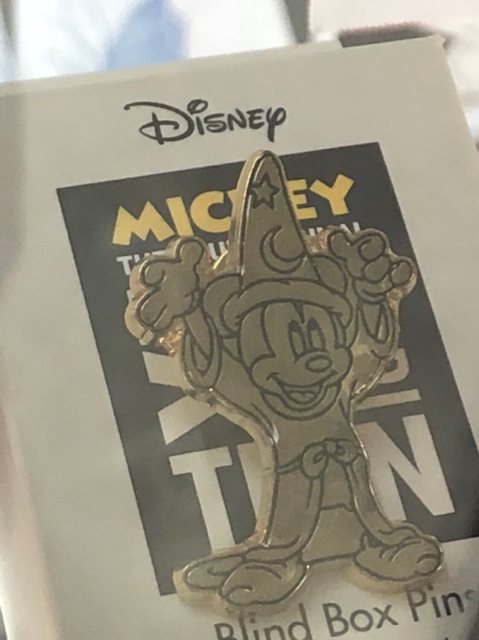 Supposedly the mystery pin in the mystery box will change every two weeks as well, but I’m suspicious of that. 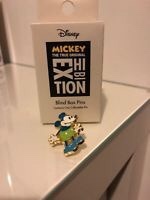 Oh, and the box is $10 and has a single pin in it. 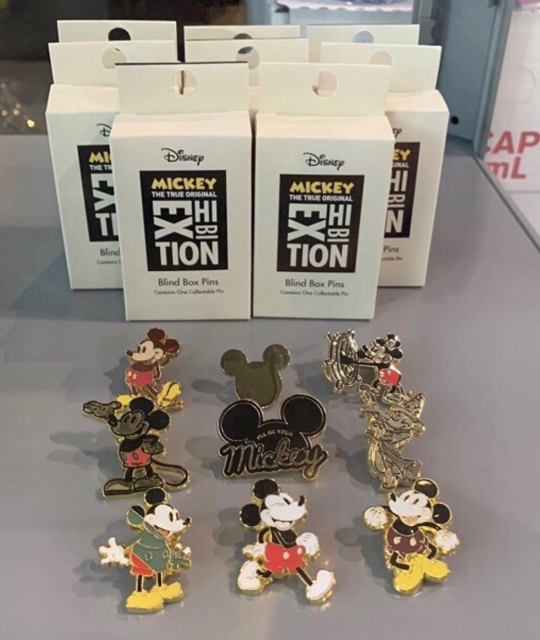 Can you access the "gift shop" area without having a ticket to the exhibit? 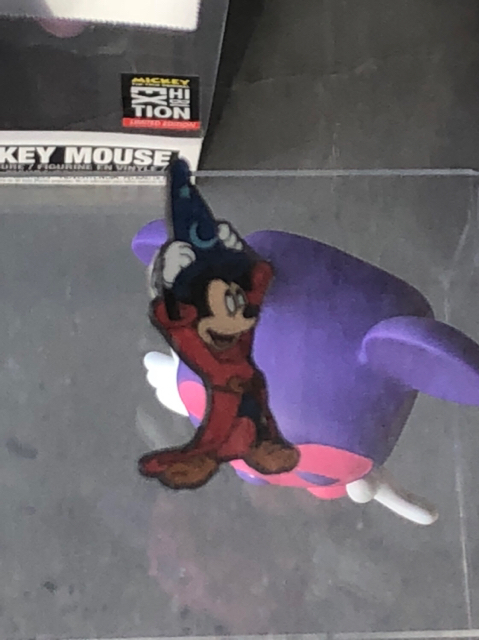 Here’s some pics of the mystery sets. 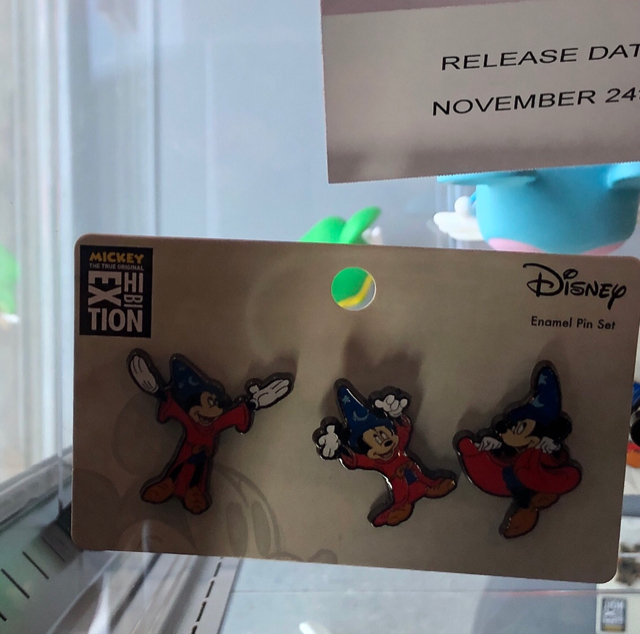 There is a different chaser with each release of the pin sets. If you want me to pick yours up after a certain date, just say so when you request them. 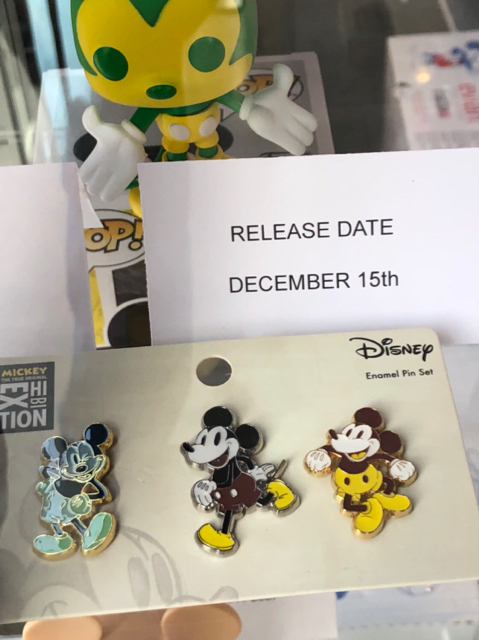 HOWEVER, keep in mind that A) they’re chasers so there’s no guarantee you will get one and B) although these are the release dates indicated by their positions in the case, they don’t seem right to me as they don’t align well with the other pins in the release. I have talked myself out of a lot of them to be sure. Going for the most unique ones. 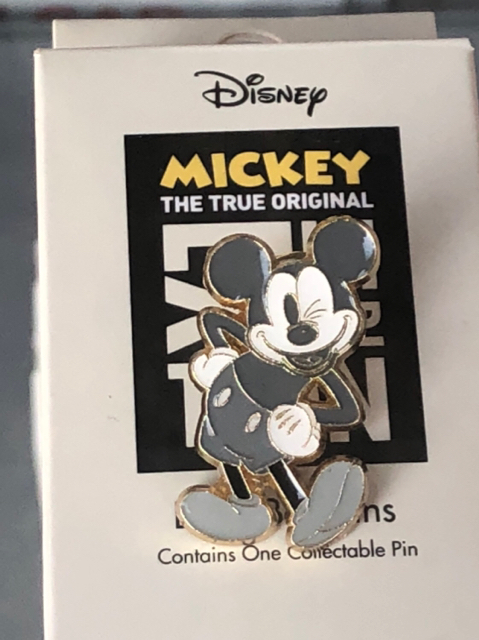 @xdattax - I have your pins. Will send an invoice tomorrow. @TheMickeyMouseRules and @CMOR - I have you listed for the colored set, but note that I increased the fee by a dollar as I did some calculations. Let me know if that makes you change your mind about wanting them. Thank you so much for the wonderful info. I am not 100% sure regarding cost. 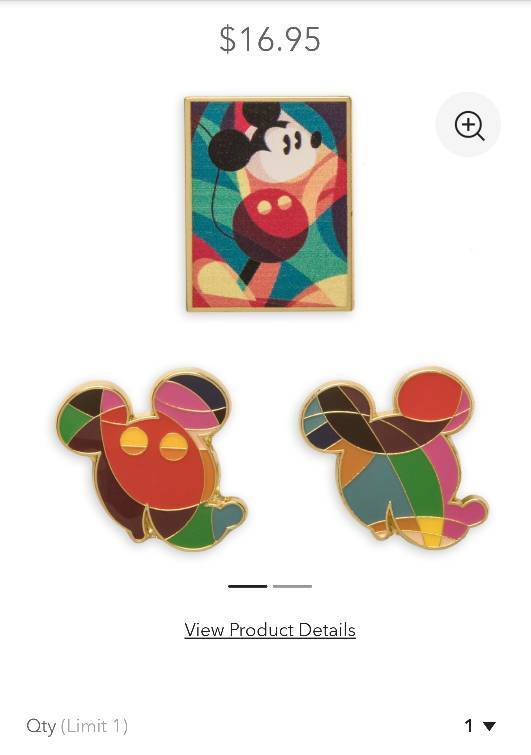 Since it is a three pin set is the $3/pin charge total $9 for the set? 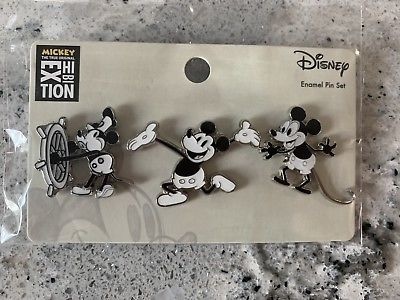 Just $3 for the set. I’ll clarify that above. Thanks for asking! Yes would like the set then. Thank you. 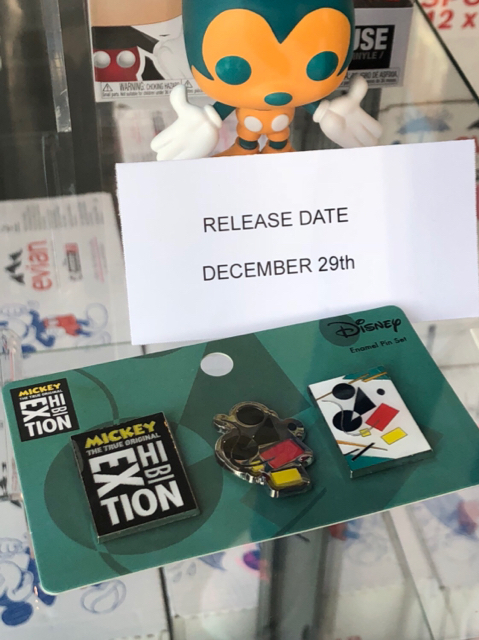 Can I get Dec 1st, Dec 29th and Jan 26th sets? I'd love the December 1 set please! Sure. Added to the list. Just a heads up that I’ll be doing a pickup this Saturday. So if you want to be added to the 12/1 or earlier or mystery lists, now’s the time to raise your hand.